The innovative adjustable offset function allows for easy weed treatment around obstacles or drains giving the user the ability to work in areas that might prove inaccessible with a fixed position machine. 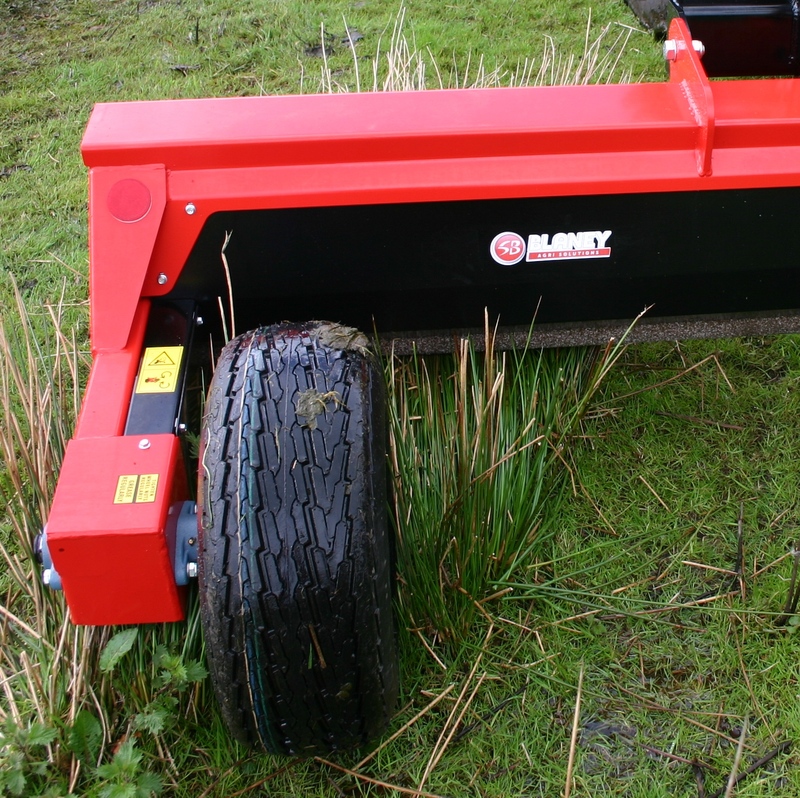 The offset weed wipers are equipped with the acclaimed Blaney Agri dual roller system for maximum weed kill and minimum drips. 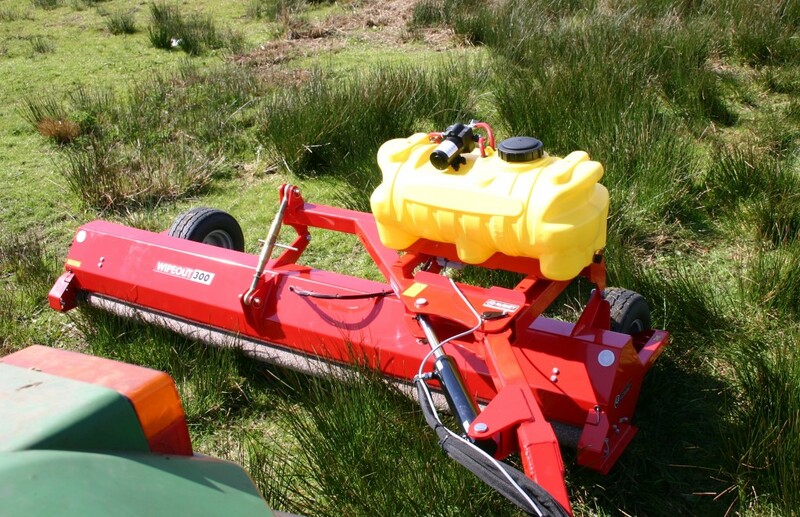 For smaller applications or if you can’t access your ground with your tractor why not try our ATV Weed Wipers towed models manufactured by Quad-X our ATV machinery division, available in 2.4m and 3m widths form Quad-X with flotation tyres as standard to tackle those wetter areas tractor can’t reach! 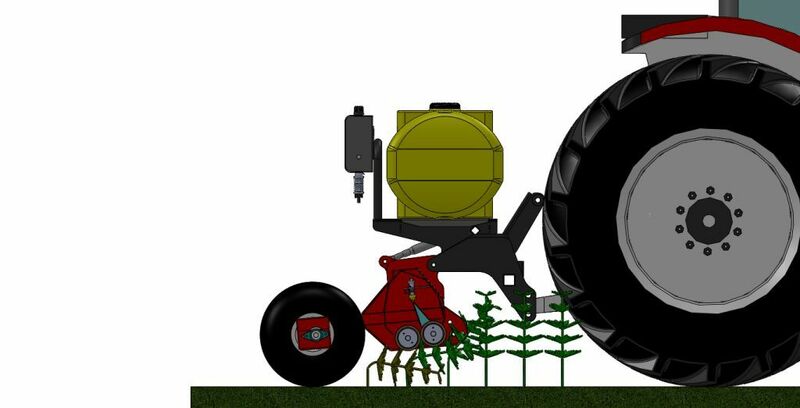 The Wipeout 2™ offers massive savings on chemical over any conventional system and is ideal for environmentally sensitive areas where boom spraying is not appropriate. 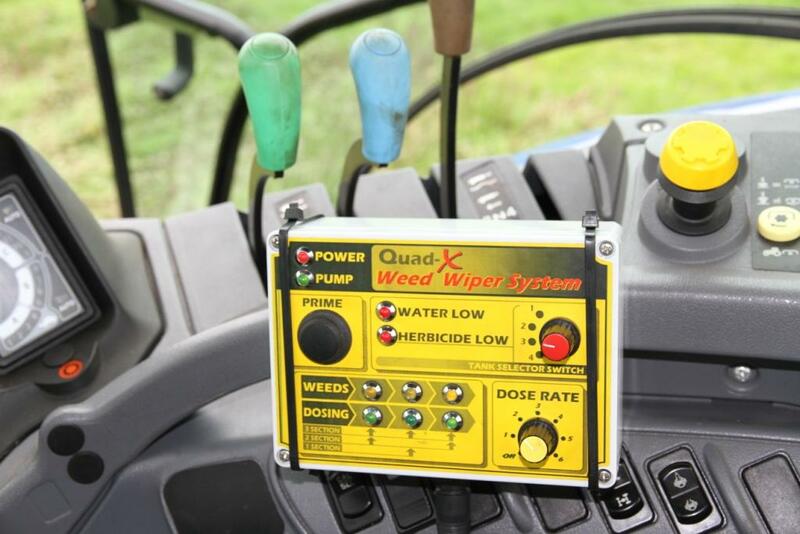 What makes the Wipeout 2™ superior to anything else is the automatic chemical application and the dual roller design. The automatic weed sensor system detects your weeds and only applies chemical to the rollers when weeds are present, meaning no guesswork and no wasted chemical. 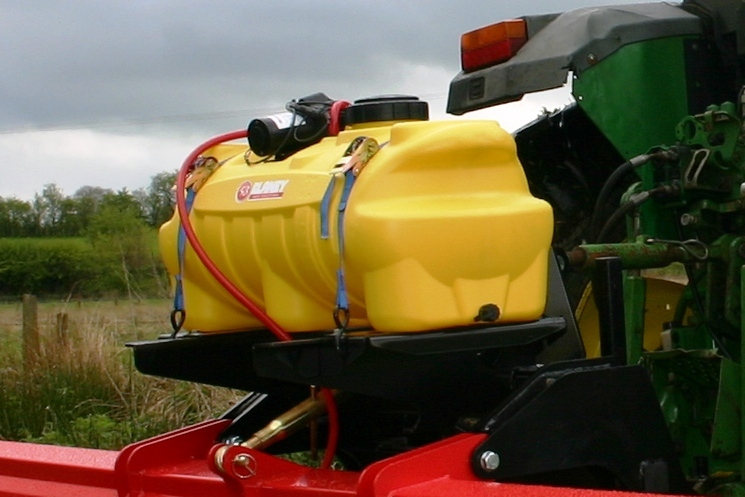 The offset tractor mounted weed wiper can be positioned either fully offset or directly behind with infinite positioning in between, fully adjustable from the cab. This allows for easy weed treatment around obstacles or drains giving the user the ability to work in areas that might prove inaccessible with a fixed position machine. The offset function avoids the concern of some that driving over the weeds before wiping can cause them to be flattened. The 2nd roller acts to separate out clumps of weeds for better application. Chemical is pplied to the primary roller, while the second roller absorbs any excess to minimise drips. 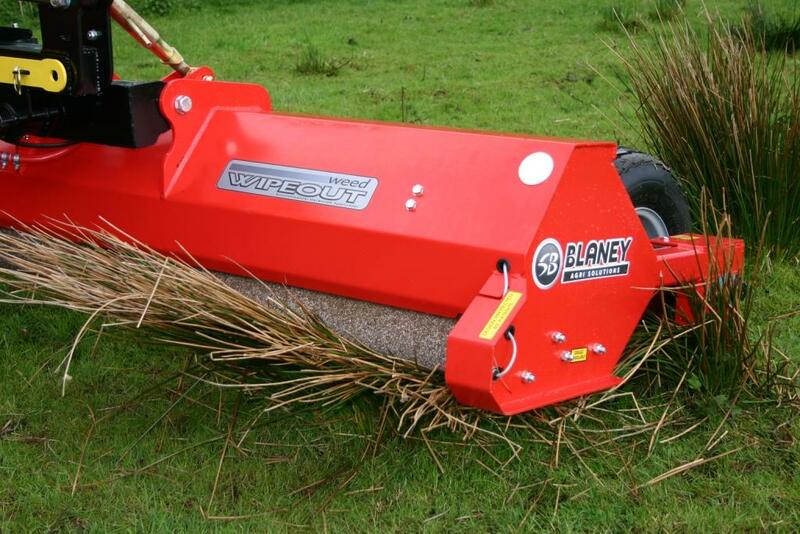 Blaney Agri offer an innovative weed detection system, available on the Wipeout 2™ and Wipeout 2™ Elite models. The system ensures that all you have to do is fill your tank and drive, and you will have no more need to guess when, where and how much chemical to apply. It is all done for you. 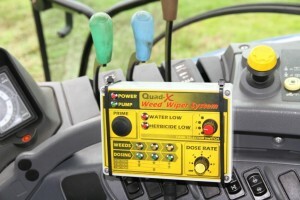 Fully electronic in-cab controls allow you to operate the wiper, all from the comfort of your tractor seat. System Diagnostics offer an easy troubleshooting aid, taking the fear factor out of the electronic system. (Wipeout 2™ & Wipeout 2™ Elite models). The 3m wipers come with a 100l tank as standard with the option to upgrade to a 230l tank. The weed wipers 4.5m wide and above come with a 230l tank as standard. 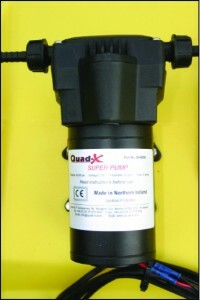 It comes equipped with a high capacity pump. 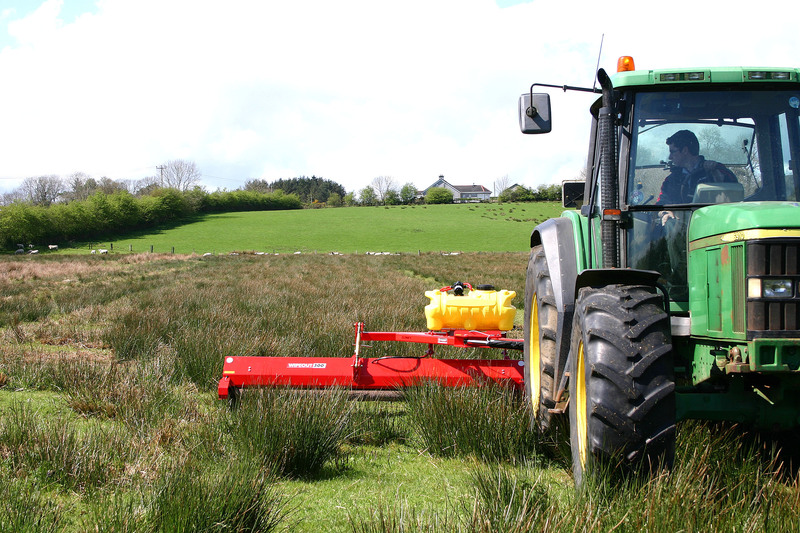 The Weed Wipers have an infinitely adjustable height range from 140mm to 50mm, depending on the tractor linkage. 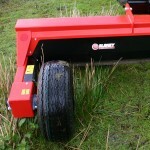 A hydraulic height adjustment allows for quick and easy repositioning to suit grass and weed height.